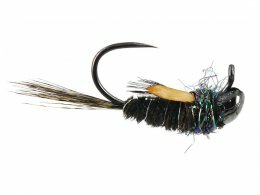 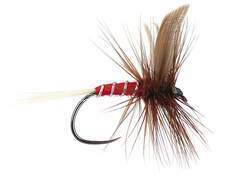 Artificial flies tied on barbless hooks are required to release fish as gently as possible. 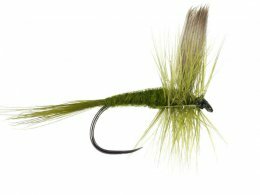 Fly fishermen often claim to fish particularly sustainable and nearly natural - for most the removal of fish has no longer priority, but rather the experiencing of intact water landscapes and their living organisms. 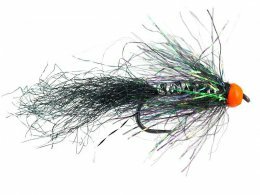 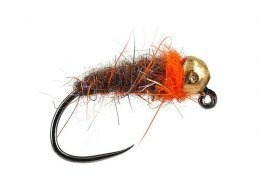 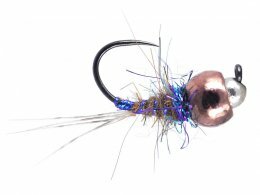 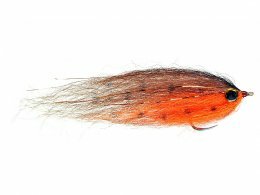 In the last years we note that this trend is getting stronger and that the demand for high qualitative fishing flies on barbless hooks is steadily increasing. 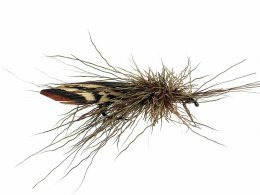 In many conversations with fly fishermen at various exhibitions the desire has been expressed to expand our assortment of flies without barbs. 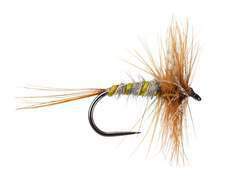 We have taken account of this - and we will continue to expand this fly category. 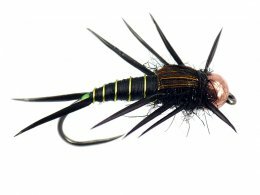 Our barbless ?basic flies? 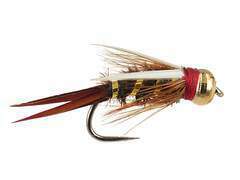 are tied on barbless hooks of the brands Maruto and Daiichi. 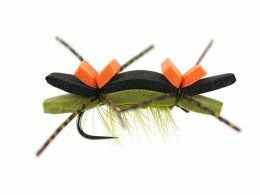 Our Premium flies ?hotfly superb? 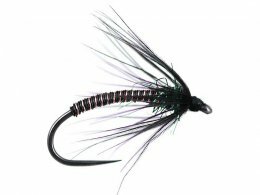 are tied on barbless hooks of the brands Hends and Dohiku. 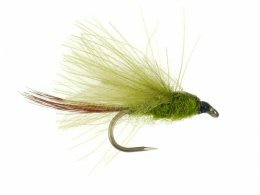 Iain Barr, two-time world champion in fly fishing favors Dohiku hooks. 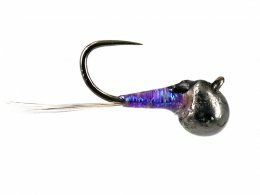 Characteristically for these high-qualitative and high-priced barbless hooks is the slightly bent-in point. 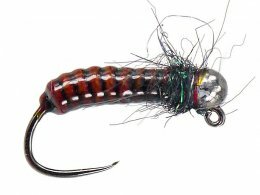 Thus, on the one hand the hook point gets spared with heavy tungsten nymphs that are touching stones on the bottom of the river. 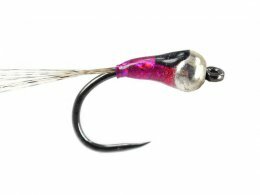 On the other hand, these barbless hooks facilitate the reel in, as the fish is better hold thanks to the inward curved hook point (bent-in point). 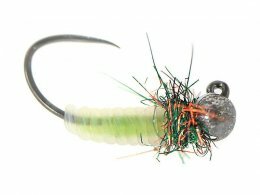 A little hint for beginners: To safely land fish with barbless hooks, respectively not to lose them while wind in the fly, it is necessary to keep the fly line tensed after the bite.